Thanks to my host, the fabulous Melissa Vogley-Woods for capturing this intro to cyanotype workshop with her Denison printmaking students! My cyanotype globe made of kozo tissue has seen better days but it was fun to inflate it again and see what is possible when printing on such lightweight paper. 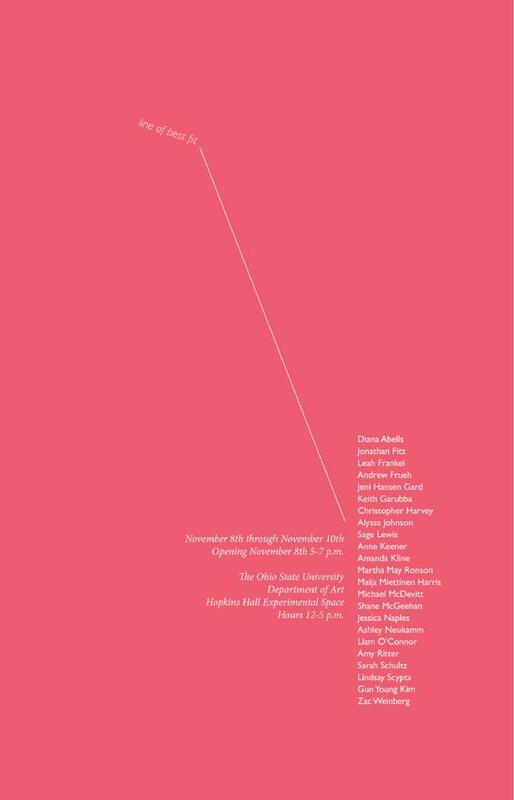 I'm thrilled to be headed to Ohio next week as a Visiting Artist at Denison University. I'm looking forward to conducting studio visits and giving an artist talk about my recent work at the Denison Museum, free and open to all! My work is included in Issue 04 of Touch.My.Prints., an online publication aimed at the promotion of artists and ideas dealing with new media and photographic theory. Thanks to Aaron Brumbelow for putting this together. Touch.My.Prints Issue 04 features projects of photographic still lifes. TMP is interested in the special way the photographic process can flatten space. In the process of a studio still life, the artist can have complete control over lighting, objects, composition, etc. This control allows for a constructed environment to showcase a wide range of concepts. ISSUE04 STI//_/IFES includes the work of Robert Ladislas Derr, Lisa Talbot, Anna Pinkas, Sage Lewis, Katherine Trimble, and Katrina Stamatopouls. Download a copy here. Our residency time in this beautiful spot is nearing an end. Vermont friends, please come out to see what we've been working on. Packing up my lovely studio of the past 3 years on the Ohio State campus will be bittersweet, but I am looking forward to spending 6 weeks in my home state of Vermont as an artist-in-residence at the 7 Below Arts Initiative. The residency runs July 1 - August 11. Stay tuned for "in the studio" snapshot updates. I'm so pleased to have an honorable mention for this year's Snider Prize given by the Museum of Contemporary Photography at Columbia College, Chicago to graduating MFA students. Check out the work of the prize winner Hyounsang Yoo and the other honorable mention recipient, TJ Proechel, here. The artists featured in Fragments of an Unknowable Whole complicate our everyday encounter with images and expand the boundaries of the photographic medium. Their generative and transformative practices are situated within and around a diverse field of spaces – the screen, the picture plane, and the physical object. They activate these spaces through conceptually bold and visually compelling inquiries, and disrupt the conventional notion of the photographic image as inherently fixed or depictive. Ranging from Heidi Norton’s material analogies of photo processes and plant life cycles, to B. Ingrid Olson’s circuitous photographic assemblages of the body, to Jeremy Bolen’s experimental attempts to document unseen natural and man-made phenomena, the artists in this exhibition reveal new contexts for looking and embrace a multiplicity of possibilities for our engagement with images. Read a review of this exhibition in the Portland Press Herald here. I'm thrilled to be included in this exhibition alongside many artists whose work I admire. I will be showing three tintype diptychs. An exhibit of camera-less images, including photograms, photogenic drawing, and scanograms. There will be a public reception and gallery talk with the jurors on Sunday, October 27, 3:00-5:30 pm. Robert and Elaine Stein Galleries at Wright State University, Dayton. Objects become Things when they touch our lives. Some Things we can hold. Some are out of reach. Regardless of the distance both can have a hold on us. This exhibition is dedicated to those Things. The subtitle Piece Work is derived from the exhibition’s thematic approach. According to Jessica May, “Throughout the art-making communities in Maine, and the contemporary art world in the United States, we are in a particularly rich moment for art that evokes process, time-intensive labor, as well as the translation of media from one form to another.” The 2013 PMA Biennial will seek to expand on this insight by presenting a broad range of perspectives-including, for several artists, a direct engagement with the notion of time and human experience. Piece Work is meant to evoke the traditional labor-based notion of artisans and factory workers who are paid “by the piece,” but also to conjure the image in visitors’ minds of “one thing after another,” a seemingly endless repetition of making, passing, and making again. This exhibition is an investigation of objects collected by individuals, many of whom are artists. The exhibition itself is a project by Emily Staugaitis. I've contributed a small collection of Herkimer diamonds and a larger collection of photo clippings of diamonds from my studio files, and I'm looking forward to seeing the accumulations of others. Opens Friday, February 3rd at City Art Center in Delaware, OH.